I’m not going to lie: the first couple weeks of this bathroom reno were rough. Everything went wrong. Walls weren’t square. Plumbing was hidden. Tile wasn’t coming up. It was a pretty discouraging two weeks, but, alas, the tide has turned, and things are finally rocking & rolling towards progress! 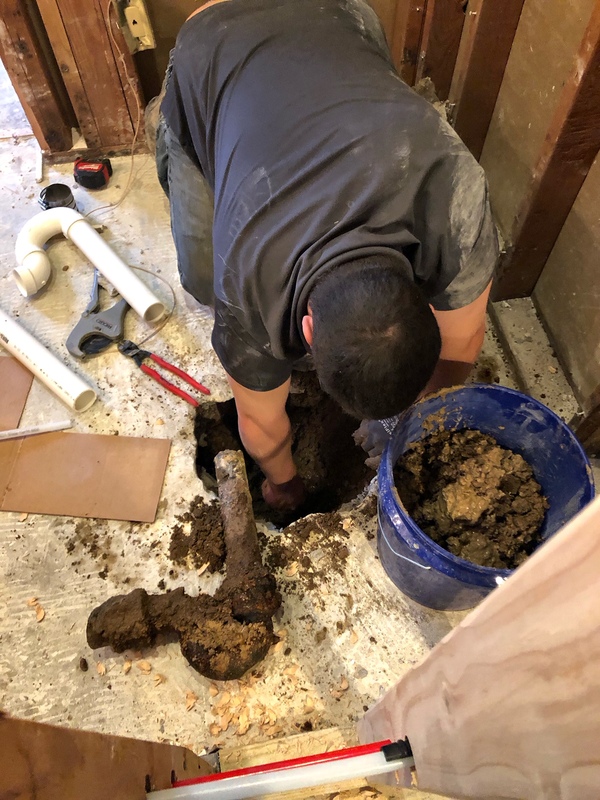 While we still haven’t completed any pretty finishes yet, we reached a monumental milestone by finding the plumbing & covered drain pipe this week! Most of this week revolved around the plumber doing a lot of dirty work. We replaced the original drain, connected new pipes to the existing hook-ups, and set the shower pan! This isn’t my favorite kind of task—expensive, non-pretty finishes but this absolutely adds value to the home! Last week I worked several late nights busting out the original tile walls. 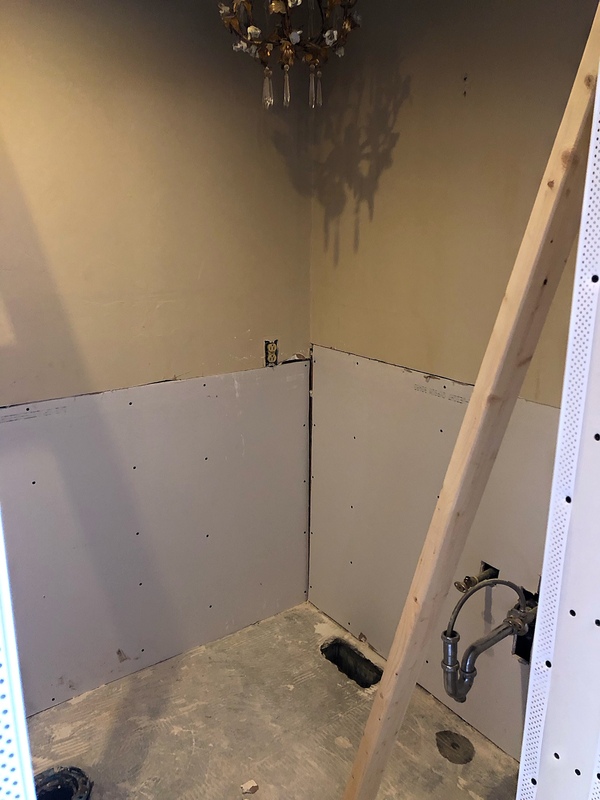 Once I finally had the demo complete, we were able to add drywall back to the walls. In the coming weeks, there is going to be a jaw-dropping tile accent wall in here. I can’t wait to see it finished! This fun project is sponsored by Jeffrey Court, and I am competing against several other very talented designers! YOU can help me win, by voting here.